Akante is delighted to introduce the Pheonix dining table to its ever-expanding collection. 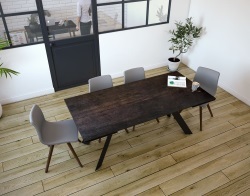 The Pheoinix dining table is 2m in lenght and 60cm wide. 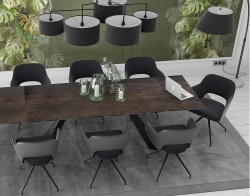 The table has a unique mechanism however and so by simply gliding the upper surface towards you, the table opens, the discrete extension mechanism lifts, the tableopens in two and its surface expands to 260cm. 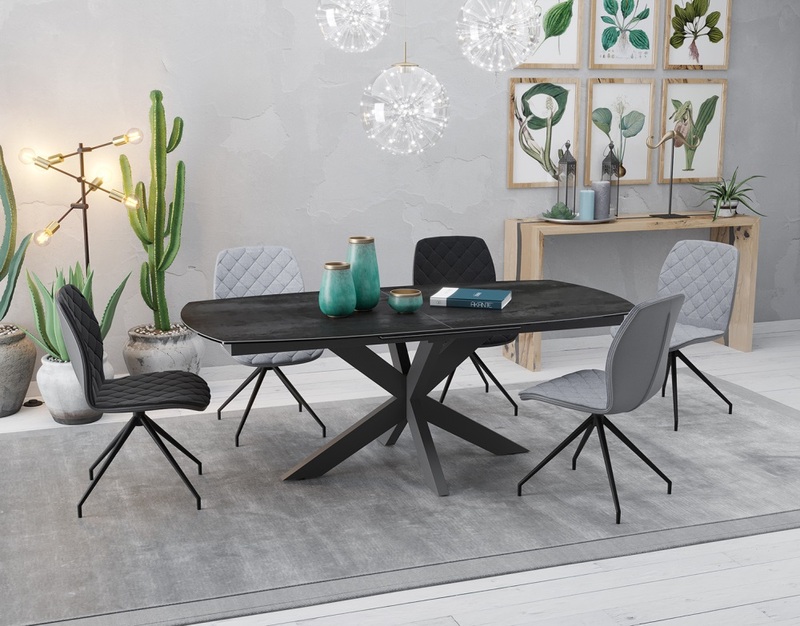 The crossed legs of the Phoenix table are made of black laquered stainless steel. The surface is made of titanium coloured ceramic glued upon glass. 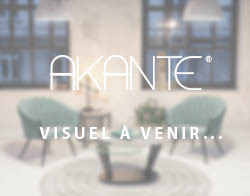 This anthracite ceramic is made in Spain exclusively for Akante.